The award-winning artist singer is set to return to South Africa where he will be performing with a full 140-piece symphony orchestra and choir. 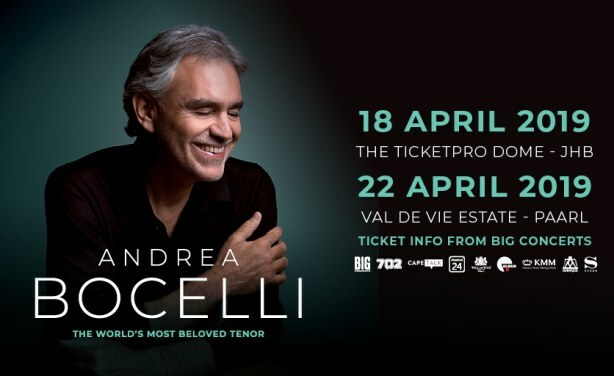 Bocelli will perform in Johannesburg on 18 April at the Ticketpro Dome and then in Cape Town on 22 April at Val de Vie Estate, Paarl. Did Diamond, Rayvanny Steal Video Concept From U.S. Singer?